N-Type RF Coaxial Connectors | Belcom Cables Ltd.
N-Type threaded connectors are designed to satisfy the need for a durable, weatherproof, medium-size RF connector with consistent performance through 11 GHz. 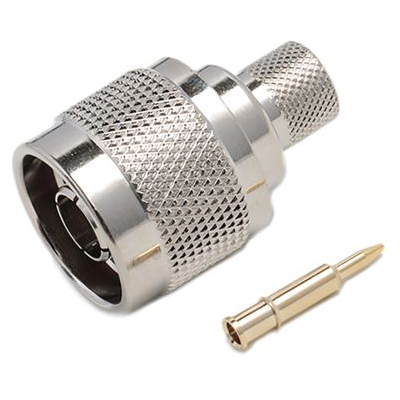 N-Type connectors are manufactured according to US Military standard MIL-C-39012 and are available in 50Ω and 75Ω .The 50Ω version is widely used for cellular systems , mobile telecom and wireless applications whereas 75Ω version is primarily used for cable TV systems. These connectors are used in all systems where excellent RF and mechanical performance is critical.